Thoughts at what might happen to the existing property on Klein? Worth saving, given the problems we know it has, or demo for alternate use of the property? 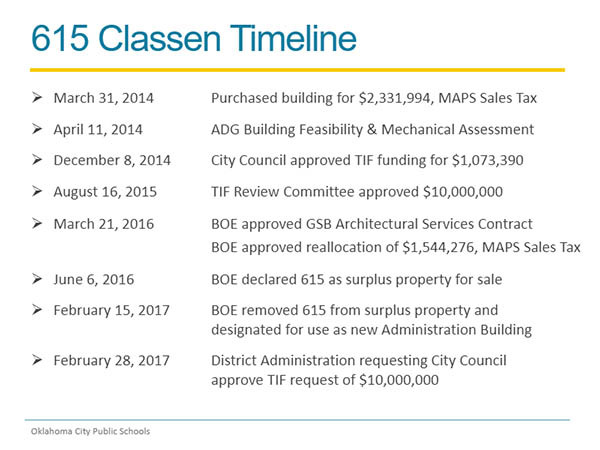 This property was transferred to the OKC Public Schools on 3/31/14, so this has clearly gone from a proposal to a deal. I'm sure they are working on plans for the renovation, although I haven't seen anything yet. In their Sept. 16th meeting, the Alliance for Economic Development will vote on an action to award the OKC Public Schools $1.073 million in TIF funds for their this new headquarters project. In March of this year, the district purchased the building from Chip Fudge for $2.3 million after a failed bid to acquire the old Central High School at 800 N. Hudson, as OCU Law School became the winning bidder for that property. The TIF allocation has already been approved by City Council and the estimated $2.5 million renovation should start soon. Some quick calculations: $2.3 purchase price plus $2.5 million investment equals $4.8 million total cost. The district is using $3.3 million of MAPS money plus this $1 million TIF allocation, leaving a small gap of less than $500,000. It will be good to see them vacate the current location but the new building is SMALL. It will be interesting to see how it works out. 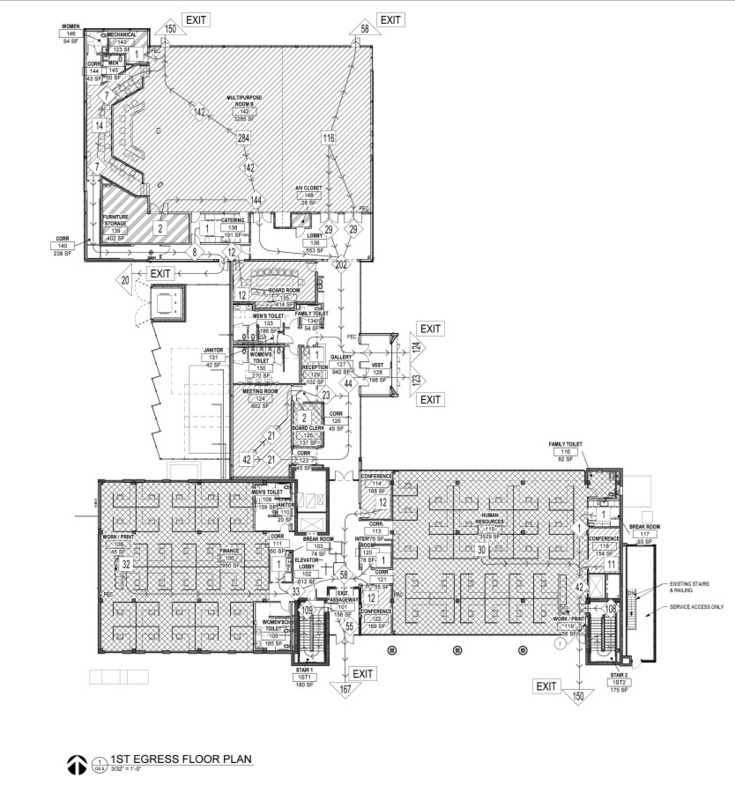 Yes, this new building is only 28,141 square feet while their existing structure is 102,000 SF. However, there are big parts of that old building that are unoccupied. Hopefully, 900 N. Klein will sell to a responsible redeveloper. Such a great old structure and perfect for housing. 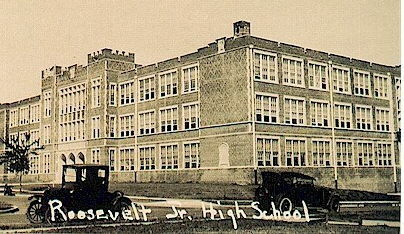 BTW, this building was the original Roosevelt Junior High until it moved to it's new location in the late 1950's. When that move was made, the admin offices took over this structure after being previously located at 400 N. Walnut. 400 is the building that was just sold in Deep Deuce for redevelopment. Do you think that would be too far away for a downtown middle or high school in the future? Dr. Dave Lopez got a lot of things achieved while he was interim superintendent. The building at 900 N. Klein use to be the old Roosevelt Jr. High School before the Administrative Offices for OCPS was placed there. I worked there as a student and later as a teacher and an administrator. Oklahoma City Public Schools was long overdue for an administrative building way back in the early 70s. Thank God for technology; they will not need a lot of storage space, they still have the maintenance facility (bus barn area) on N.E. 23rd & Miramar Blvd. The bank appears to be a good structure to relocate the OCPS administrative offices. "Oklahoma City looks oh-so pretty... ...as I get my kicks on Route 66." --Nat King Cole. The neighborhood has changed along with the boundaries for schools. I doubt if a new high school to serve the area could be built on Klein because there isn't enough land area to hold what's required of today's high schools. A site like Emerson Alternative (Middle & High) School could be built on that site. Thanks for posting the floorplans. Very interesting. On edit, I see that city council actually approved their request? So they have an $11 million and change project and the city is paying $10,000,000 of it? Sounds absurd. I also just realized, being a public school building, this will pay no ad valorem taxes. So to me, this is even a worse deal for OKC to shell out $10mil, which is essentially paying for 90$ of the project. 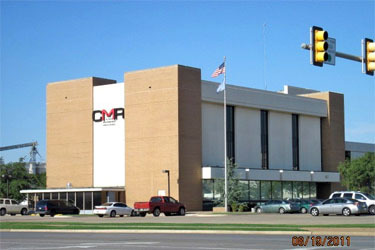 Oklahoma City Public Schools will renovate Central National Bank building for its new administration headquarters. 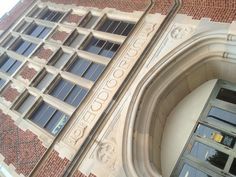 Oklahoma City Public Schools will move their administration office to a building better-suited for its needs and services. 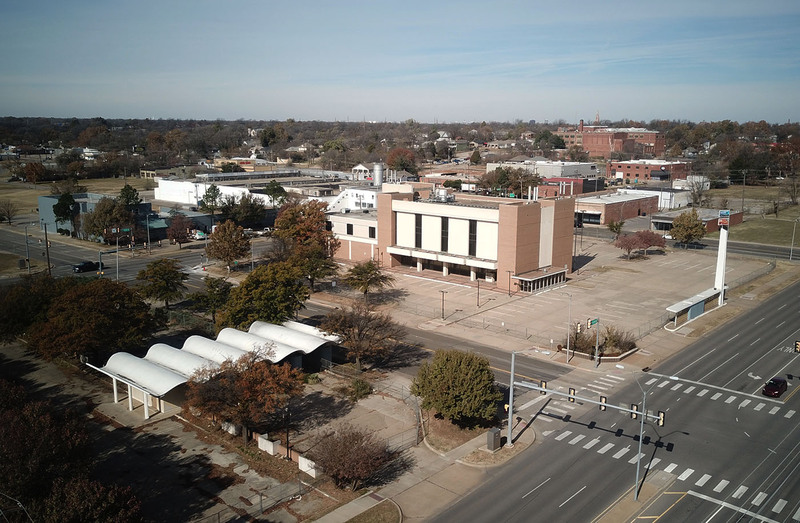 The school district is going forward with plans to renovate the old Central National Bank building on 615 N. Classen Ave. into its new headquarters. 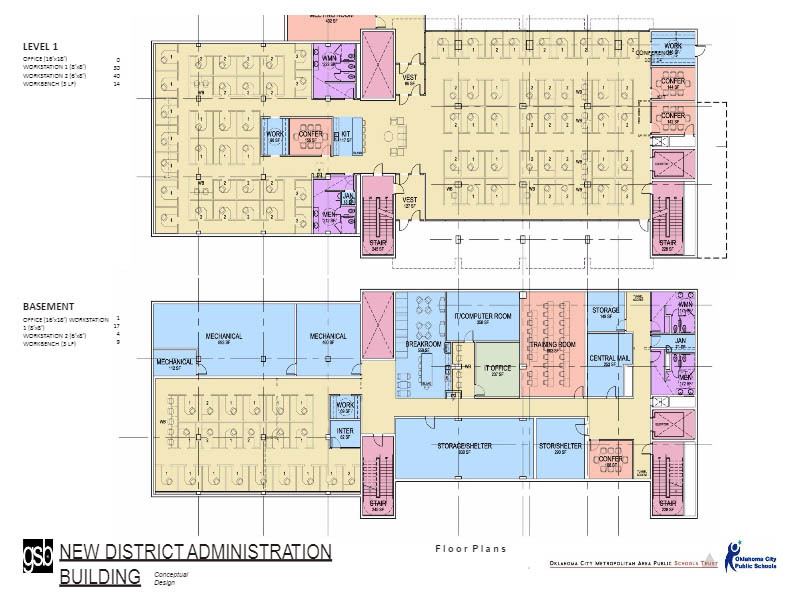 “The past nine to 12 months, we've been working on plans to make sure it can house the 180 employees we need to move in there and still accommodate our needs as far as a board meeting space,” said Scott Randall, OKCPS chief operations officer. The project’s bid will open late November or early December. It will then present it to the Board of Education Dec. 10 and make a recommendation on who should receive the construction contract, Randall said. 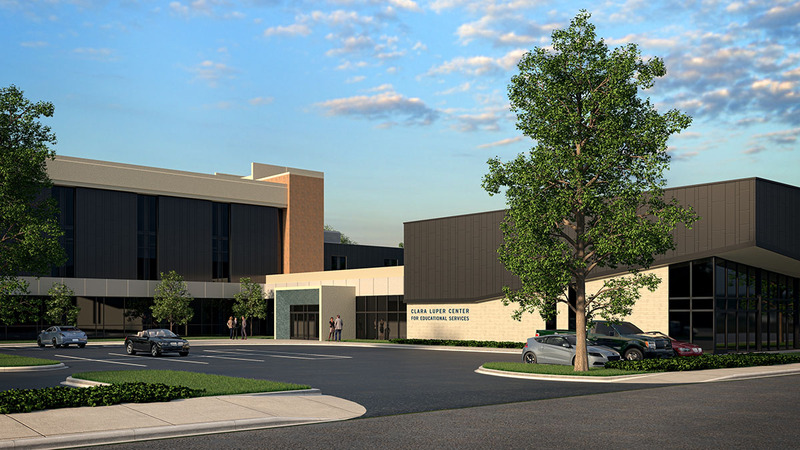 The three-story office will be called The Clara Luper Center for Educational Services, named after the civic leader who conducted sit-in protests that helped end segregation laws and policies in Oklahoma. 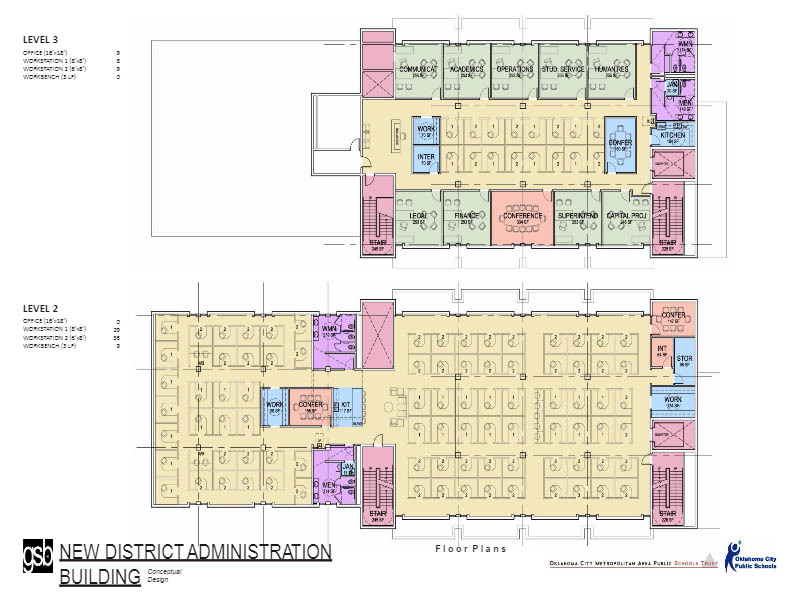 It will mark the first time the school district will have a building designed as an office space for its administrative services. Its previous building was a former school that was modified but never went through a full-scale renovation. 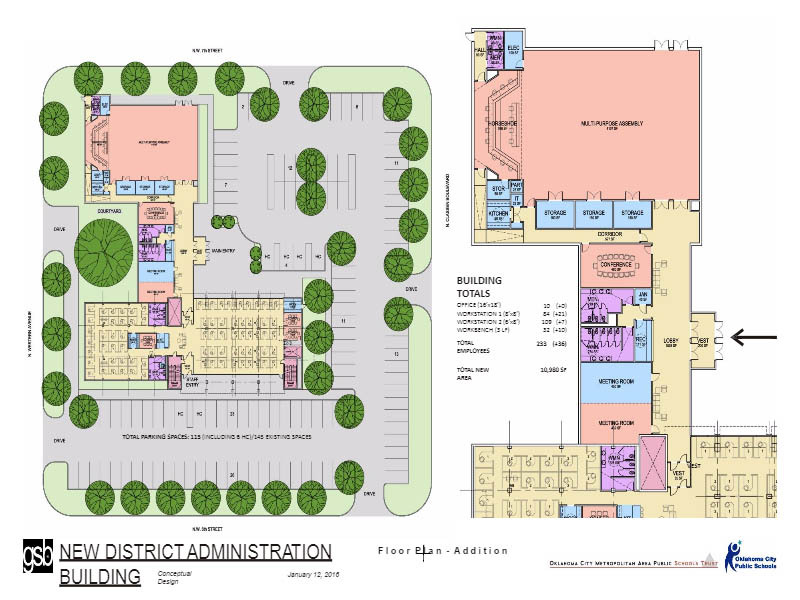 The district also plans to build an addition to the north of the office to better serve the city. The former bank’s drive-thru structure still stands south of the building, across NW Fifth Street. It has gained some architectural acclaim for its mid-century design and unique wavy roof. The district hopes to avoid demolition, so Randall said it’s looking for interested parties to acquire the structure or move the roof. 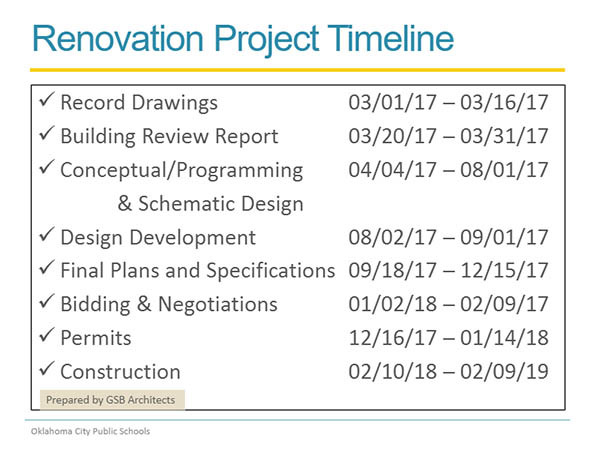 The school district is also working with Oklahoma City Redevelopment Authority to find new use for their old office on 900 N. Klein Ave. The organization has conducted community meetings on the future of the building. “They’re working to put together packages so firms can begin to bid on that particular building, so we hope in the very near future the sale of the building will be completed and it begins to be used in a way that becomes a vital part of that community,” he said. The 96-year-old building was a former middle school. It served as the district’s offices since 1955. The Dec. 10 board meeting will be at 5:30 p.m. in the auditorium of Northeast Academy, 3100 N. Kelley Ave.
Nice! I drive between these two buildings on my commute every day and was wondering what the plan was for them this morning. I hope the cool wavy roof is preserved somehow. Long overdue move from the old school building at 900 North Klein. Great tribute to Clara Luper Clark, a local civil rights pioneer. Oops sorry I missed that, but I see it now. Wasn't $10M given to the district by the city to buy this building? I don't remember exactly. Was mostly wondering how that factored in with the addition, or if that is over and above. The property was purchased for $2.3MM in MAPS funds. 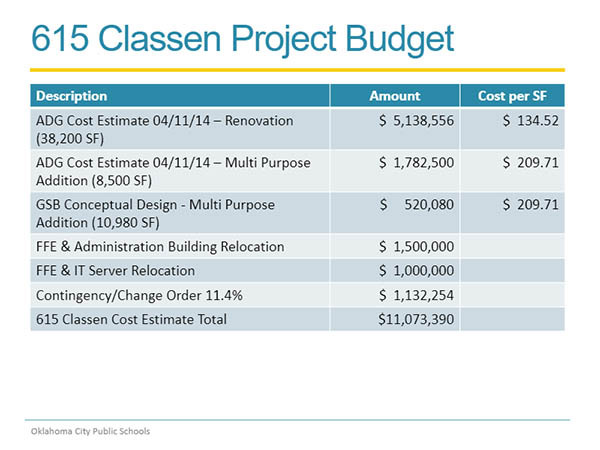 The remainder of the $11MM budget to expand and renovate is from TIF funds.